Sentry catches every single error in production (automatically and immediately), while providing the context needed to fix those errors. 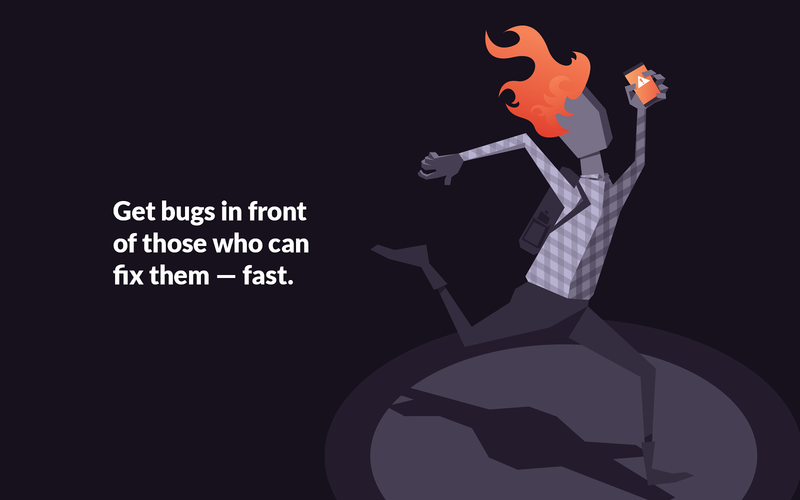 View actual code in stack traces, with source maps for JS, symbolication for iOS, and stack locals for Python bug tracking. See the error’s parameters and session information in the crash report. View the commit that led to the error and the developer who changed the broken line; you’d never personally blame them for the problem, of course, but you’ll probably want their help fixing it. 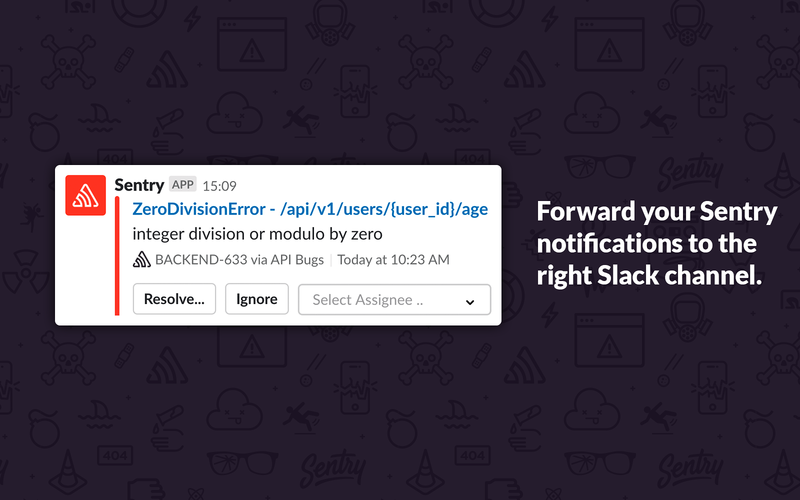 Thanks to our Slack integration, you can be notified of these errors via the Slack channels of your choice, based on specific parameters you determine. Want every billing page error to ping the #billing channel? Done. Want any exception that’s thrown a hundred times in a minute to go to the #nononononono channel? You got it. 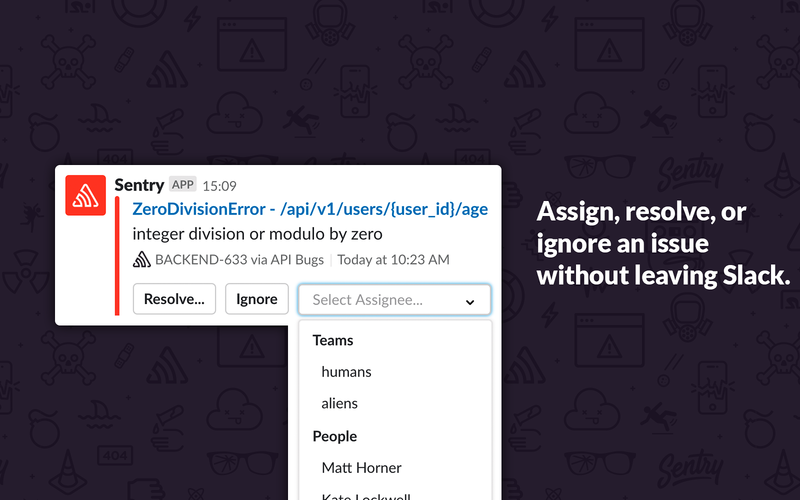 And since our integration is bi-directional, you can assign and resolve errors from directly within the channel, giving you an opportunity to spend even more time in Slack and less time fixing bugs. 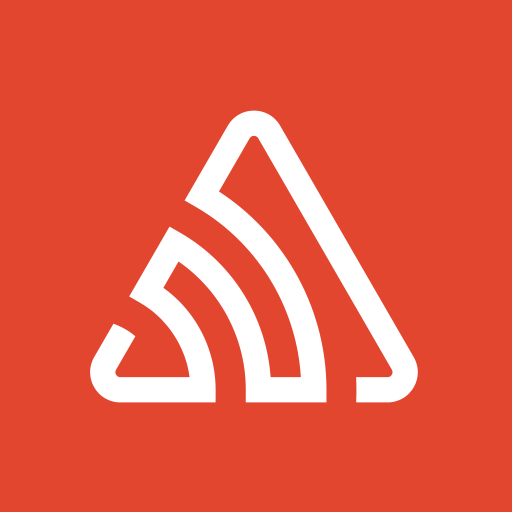 View links from sentry.io in messages. Direct message members who use Sentry, and view messages, activity, and files in that DM.